Wii Shop Update: Bonsai Barber, Super Punch-Out!! Relish in the title of this story, as it's the last "Wii Shop Update" you'll get. Starting next week, you'll start seeing it as the "Nintendo Download," as the updates will start including DSiWare titles. You excited? I can feel it. Super Punch-Out!! (Super NES, 1 player, 800 Wii Points), which happens to be one of my favorite videogames of all time. There's not much more than can be said about this now-classic sequel, but it's a good way to whet the appetites of gamers who might not be familiar with the series. One can only hope that the new Wii version of Punch-Out!! is half as good as this title. So, will you be buying either of these things? In this farewell edition of the Wii-kly Update (more on that below*), we’re pleased to announce a pair of excellent games based around completely opposite vocations. 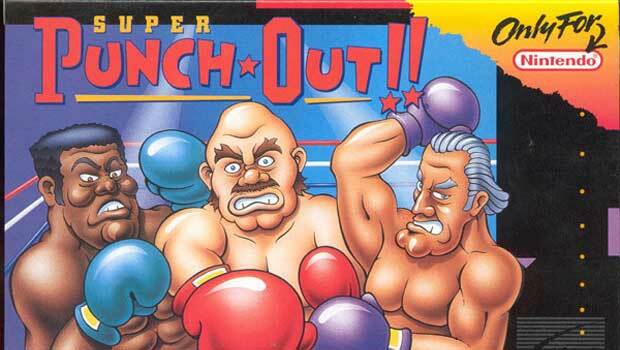 Newly available on the Virtual Console™ is Super Punch Out!! ™, the classic boxing title that pits players against tough pugilist rivals such as Bald Bull. Speaking of baldness, the unique new WiiWare™ game Bonsai Barber™ invites players to take off the gloves and work their clippers instead, giving new hairstyles to a colorful cast of fruits and vegetables. Both are yours for the downloading via the Wii™ Shop Channel. Bonsai Barber (Nintendo, 1-4 players, Rated E for Everyone—Comic Mischief, 1,000 Wii Points): The village residents are hungry for the latest in foliage fashion, and it’s up to you, the new barber, to fix them up. Use the tools of your trade: scissors, clippers, spray can, and more in this humorous, first-of-its-kind “first-person-groomer” game. Bonsai Barber features a colorful cast of 12 intriguing customers, including a temperamental shallot starlet (don't call her an onion), an oddball strawberry boffin, a cactus cowboy, a daredevil carrot, and a suave banana with top-secret clearance. Each day, five customers arrive to test your stylistic skill. If the customer requests a specific style, you’ll plow that furrow, or you can rely on your expertise to pick from more than 30 popular fashions. Or, why not turn over a new leaf? Be creative and see how they react. They’re a demanding bunch, so if you miss an appointment, you’ll hear about it—on your Wii Message Board. If you do a good job, you may receive a gift or even a postcard from an exotic destination as your happy customers travel to distant lands and show off their exquisite coifs. * - About that “farewell edition” stuff: Starting next week, the name of this newsletter will be changed from Wii-kly Update to Nintendo Download. Why? With the April 5 launch of the new Nintendo DSi™ portable game system comes the opening of the Nintendo DSi Shop. Like the Wii Shop Channel, the Nintendo DSi Shop will offer a growing library of downloadable games, with new titles added every week. Accordingly, we’ll be using this space to tell you not only about new games for Wii but also for Nintendo DSi. Watch for the first edition of Nintendo Download on April 6.